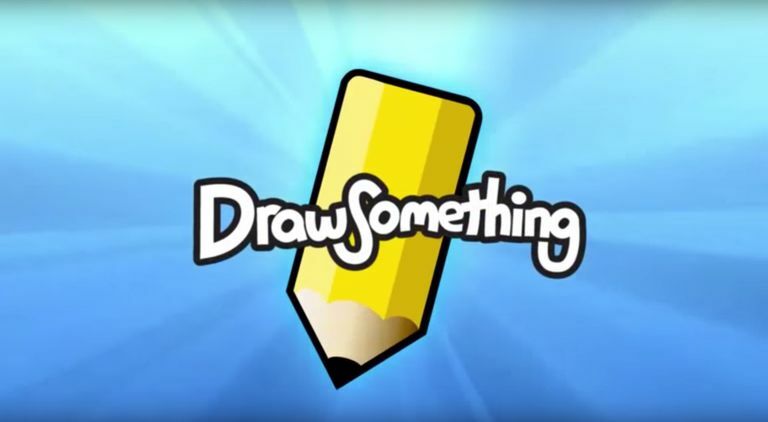 Draw Something is the incredibly fun and creative Pictionary app that went viral and took the mobile gaming world by storm back in 2012. In just seven weeks, it had completely exploded in popularity. Years later, the app is still available and loved by many, but its reigning power over mobile gamers dwindled fast in the months after it peaked. But that doesn't mean it's no longer worth playing! What Are You Supposed to Draw? You can draw anything you can think of with the Draw Something app. In fact, drawing from your imagination is the name of the game. If you're at all familiar with Pictionary, then you know that the object of the game is to have someone draw anything they can think of on a piece of paper without using words or gestures while everyone else watches and tries to guess what it is. The same applies to Draw Something, except you use your mobile device as your canvas, and you don't have to be in the same room as everyone else you're playing with thanks to the magic of the internet! 1. Sign up for a free account by connecting Facebook or using your email. Once you’ve installed the app, you’ll need your own user account to connect with your friends who are also using the app and keep score as you play. 2. Find your friends and add them. You can start a game with friends who are already playing Draw Something by email or Facebook, or by inviting them to download the app and start playing. You can also choose random players to play against. The app will match you up with a random user. 3. Start a new game and begin drawing. You'll be given a few words rated as easy, medium and hard. The harder the word that you choose to draw, the more coins you’ll be able to earn, which you can use to unlock special features throughout the app. Choose a word to draw and use the color palette and your finger to draw an image that best describes the word you chose. The other user will receive a notification when you've finished your drawing, who must correctly guess the word using the blank letters slots given to them in order to earn full points. Users can also pass to skip their turn if a word can’t be figured out. This erases all game progress and starts the match over again. 4. Wait for the other user you're playing with to send their drawing over so you can guess the word. When it's the other user's turn to draw, you'll receive a notification when it's time to guess the word they chose. Essentially, you and your opponent go back and forth drawing images and guessing each other’s words as best to your ability. When you start, you're given several “bombs” that you can use to blow up letters or to choose another set of three words for drawing. The more points you earn, the more color pallets you’ll be able to buy. You can also use your points to buy larger sets of bombs from the app shop. Badges are also available for users who want more of a challenge. You'll be asked to draw a more difficult collection of words made into a phrase to earn specific badges. Draw Something actually has four different apps. The instructions above are based on the original free app from OMGPOP (the first one listed below), but you may want to check out the other versions if you find you enjoy it so much. Draw Something Classic (free) for iOS and Android: This is the main app that exploded onto the mobile gaming scene years ago. It's the one you'll want to get started with if you haven't tried the game before. Draw Something for iOS ($2.99) and Android ($3.89): If you end up loving the free version, you may want to consider upgrading to get a better variety of words to draw and lots more extra features. Draw Something Pro ($4.99) for iOS: This is the app was designed for those who can't stand the ads. Not only do you get ad-free gameplay, but you also get tons more words to choose from for your drawings. Buy and download this one with caution, though, since it appears it hasn't been updated since 2016. This app is great to play on the iPad or a tablet computer. The screen is bigger, giving you more room to doodle in more detail and move your fingers around freely.